Here you’ll find travel reports about Kawagoe. 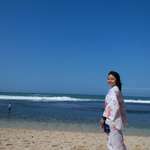 Discover travel destinations in Japan of travelers writing a travel blog on FindPenguins. Thanks for guide at kawagoe, daisuke san!